For decades, we have slowly learned to love knitwear for the right reasons. Not only does wearing a woolly jumper protect our bodies from bitterly colder temperatures, but when stripped bare, wool really is man’s best friend. Thankfully though, fashion has evolved and we can now choose from many different variations of knitwear. From luxury cashmere sweaters, to embellished knitwear, to oversized novelty jumpers knitted from scratch if you’re feeling adventurous. And let’s face it, there’s no better time to embrace the art of knitting our own clothes. What with British weather being so unpredictable. As children, more often than not our grandmothers would insist that we wrap up warm, but don’t over-insulate indoors or we ‘won’t feel the benefit’. Whatever this translates to! Whether you love or hate big woolly jumpers, at My Favourite discount Codes we have rounded up some of the best winter deals to help you to stay warm throughout the UK’s inevitable ‘cold snap’. Yes, with our Woolovers, Hobbycraft, and our Lakeland Leather voucher codes. You can be sure to get more for your money which is ideal with Christmas lurking so close on the calendar. It’s not always easy to find knitwear staples that look and feel the part, especially if you don’t care for them the correct way. Heavier jumpers in particular need to be folded and stacked neatly inside your wardrobe as opposed to left to lose their natural shape on a clothes hanger. Remember that cashmere wool tends to attract moths as well. So it’s worth investing in some fragranced moth-repellent sachets. Look after your knitwear and it will look after you in return. If you’re after for the finest quality cashmere sweaters, our Woolovers voucher codes will provide you with choice a-plenty. Whether you’re buying a Christmas present for someone special, or you just want to stock up on luxury pieces for yourself, here you’ll find some smart offers on fashionable knitwear. Take advantage of free delivery or 50% off deals using our Woolovers promo codes. Despite the stereotypes, knitting is not just for grandmothers who potter around the house. 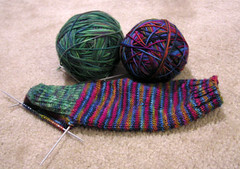 Knitting is actually an extremely popular hobby among people who choose to design and make their own clothes. There are even arts and crafts classes that encourage more of us to take up knitting as a hobby. So if the idea of relaxing by an open fire creating unique jumpers, hats and scarves has you feeling warm and fuzzy, you’ll love our Hobbycraft voucher codes. Not only is knitting a practical activity for the whole family to enjoy, but it’s also great for those battling some form of addiction as it keeps idle hands busy. For example, if you’re trying to give up smoking then you might find knitting to be very useful indeed. So get involved with some therapeutic knitting tasks and make the most of our Hobbycraft voucher codes. Finally, if you’re the sort of person who prefers to shop ‘til you drop as opposed to making clothing from a ball of wool. Shopping for knitwear staples in the beautiful Lake District is perhaps one of the most appealing ways to channel your spending habits, yes? Now you can enjoy authentic Lakeland fashion at a fraction of its original price simply by purchasing online. Also, remember that knitwear extends further than just sweaters. So whether you need a classy new hat, a snuggly pair of gloves or a comfortable scarf, our Lakeland Leather discount codes will allow you to shop for some winter wonderland essentials. And thats without the costly price tag to go with it. There’s nothing more charming than knitted clothing, and it adds some rustic texture to any outfit. If you’ve always wanted to own knitwear pieces that offer style, comfort and quality, our Lakeland Leather voucher codes will enable you to fulfil that dream today.